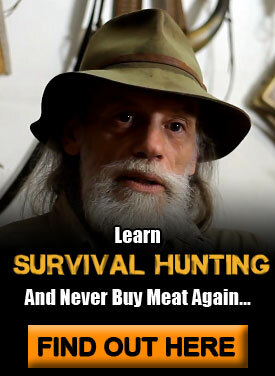 Survival has evolved from a fight for man’s very existence to a business model. On sites such as Amazon etc. 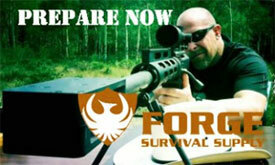 one can buy ready made kits and equipment that promise to protect an individual or a whole family. I am sure China is kept busy churning out disaster packs that include flimsy led lights, a couple of bandages, water packs and edible food. While I buy some specific items, I prefer to research and come up with my own unique configuration to meet my needs. 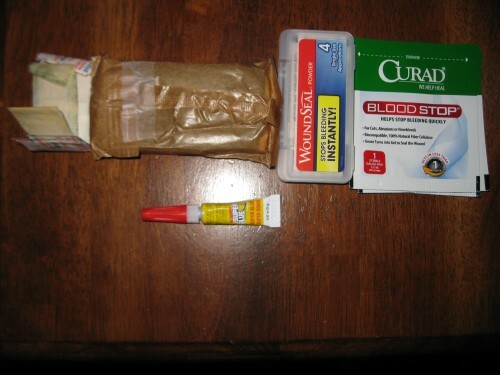 For a first aid kit one can go to Wal-Mart and buy the bright red first aid pouch or the large clear car first aid kit but why not make your own? Pictured is my current kit which has evolved and changed quite a few times. Before I begin dissecting this kit I want to clarify that this kit is designed for lightness and economy. It is not perfect, no kit will be. But when your leg is gashed and you’re alone in the woods, or your arm is splotched with crimson blood you will be grateful that you thought ahead and packed a first aid kit at all! Designed after the ALICE system the MOLLE pouches and load bearing gear have enjoyed wide spread popularity. Tactical gear and even hunters enjoy the modularity involved with the loops and straps that make this system so easy to mix and match. My end result was to attach a pouch to my MOLLE hydration pack which will be attached to a plate carrier. 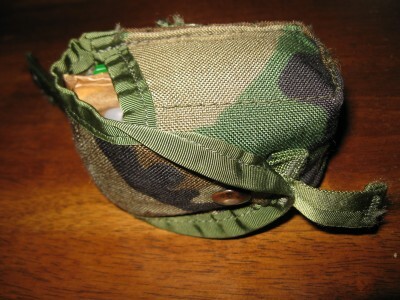 So in my case of various oddball items I found this woodland camo, military grenade or flasbang MOLLE pouch. It’s small but just large enough to squash in a bunch of useful items. I love to surf on eBay for military lot deals where you can buy these cheaper than almost anywhere else. Now I’m going with an all black tactical look so down the road this MOLLE pouch will turn a darker hue. Almost top priority in my mind for first aid is the job of aiding in clotting or stopping excess blood flow. The most normal response is the humble band aid. Yes you can go from Dollar Tree brand to the fancy types of more specialty types of Band aids, but just make sure you have some. Band aids with their small gauze pads and adhesive edges work great on small cuts. They not only aid in stopping blood but help obstruct ugly germs from crawling into your newly sliced open body wound. I tend to stash band aides not only in my first aid kit but also in my survival kit because these little guys are so useful! Things like they can double as tape or the pads can be fire tinder. 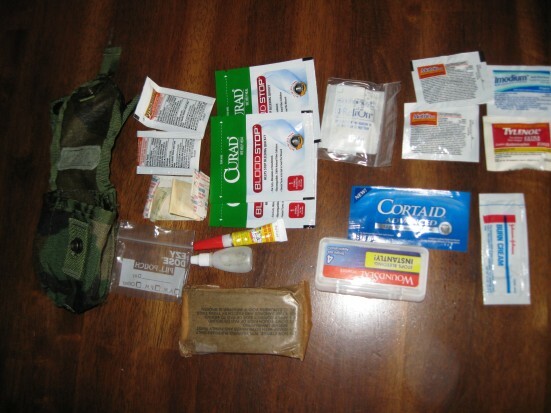 Military bandages or field dressings again are different due to country origin and style. The one pictured above is an older US Army style field dressing. Just as an extra tip, on youtube I ran across an interesting video showing you how to make a simulated one. With the right material I guess you could make one of almost equal quality. The field bandage is designed to stop more serious blood flow such as gunshot wounds. Thus for bad situations, one hopes never happens I also included it in here. Not long ago I went to work and one of my friends had just cut himself pretty bad. But instead of stitches he used good old super glue. Now I know people will tell you its poison and there is a medical and non medical kind. After some surface research I felt comfortable enough to stick it in here just for those times when you might really need a homemade stitch! You research and see what you think. One of the perks I suppose of war is that man learns how to stay alive. Thus even the civilian market now carries some newer technology perhaps pioneered in part on the battlefield. WoundSeal is a powder that when poured on a wound is designed to clot the blood. CURAD Bloodstop is a gel bandage designed to gel over a wound and stop the bleeding. Both of these were about $7 a box which while a bit pricy I considered worth enough to invest in. In this group I packed a Johnson burn cream. We have a Cortaid ant-itch cream and some Staphaseptic, more general purpose gel, billed as a first aid antiseptic and pain relieving gel. I got a box of these last packets of first aid gel, again on eBay, for very cheap. While blood stoppage gets the major attention in first aid even a burn or an infected untreated wound can be serious. Adding small packets like the ones shown just add a peace of mind for those long hikes or extended journeys away from civilization. I also added a packet of alcohol wipes in here for sterilization purposes. These can also double as fire starters! Make sure these are tightly sealed because they tend to dry out fast! Also I put a couple tiny butterfly band aides in this packet. Years ago I went in an old fashioned drug store and found these tiny pill baggies like miniature sandwich bags. 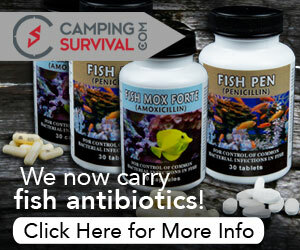 I find them so useful for packing small survival gear I highly recommend them. If you can see in the picture that is what the alcohol wipes are snugged away in. Medication tablets are easily carried and easily confused. I used to pack some in my pill bags but the writing seemed to wear off and little white pills are not good to just pop in your mouth when you don’t know what they are designed to cure! 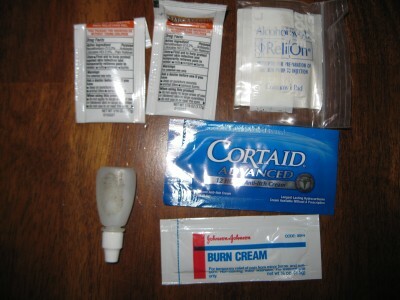 I stole the ones pictured above from the car kit stashed in my bathroom closet. The Imodium is advertised as anti-diarrhea which you might need if you forgot to bring along a water filter. 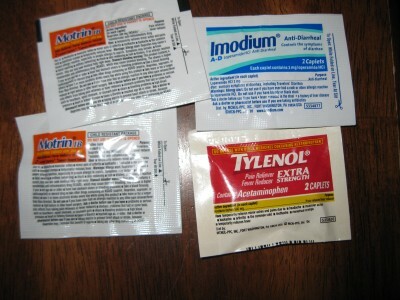 The Motrin and Tylenol can be used to fight general pain. One of the quickest ways to die is to stop making good decisions. Sometimes a little pain relief might help clear the fog if life outdoors takes a bad, bad turn! You will notice I have no scissors, knives or scalpel blades in this pack. These are quite slim and easy to add, but since I already have them stashed in my survival kit elsewhere I decided not to worry about adding them here. I have always remembered the adage that something carried is far more useful than the perfect gear left at home. I also remember the lessons of the Civil War when Union Cavalry packed so much they could hardly ride. A couple days or battles later they had stripped down to bare essentials. Don’t be paralyzed by the fear that you can never pack an operating room in your pack. Maybe a band aid is all you need. Use foresight and study to find the perfect balance of what you need in your personalized first aid kit! ACTIVATED CHARCOAL IS ESSENTIAL!!!!! Works great for food poisioning, even Noro virus!! Each particle has a massive surface area, and it aDsorbs (Adsorption – Wikipedia, the free encyclopedia) EVERYTHING!